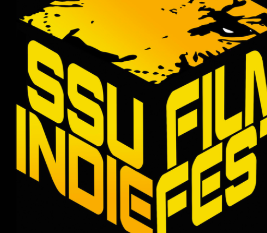 The 5th SSU Indie Film Festival will be in April 2019 and the submission period is now open. The SSU Indie Film is a festival for a variety of films in these 5 categories: music video, horror/sci-fi, comedy, documentary and drama. Films can be 3 to 15 minutes long. Films longer than that will be disqualified and films must in English or English subtitles. Students and professional filmmakers compete separately. The screenings will occur in the evening. The judges, workshops, and other related information will be release in late December. The film festival submission period is open until February 28, 2019 and people can submit at https://filmfreeway.com/SSUIndieFilmFestival. The SSU Indie Film Festival will be in April 2019 Savannah State University Student Union Ballroom. “We hope the campus and community will come out and enjoy some great films from all over the world. We are excited that we present a diverse variety of films,” said Kareem McMichael the co-director of the SSU Indie Film Festival. Find out more info at http://ssuindiefilmfest.weebly.com/ or contact Kareem McMichael or Tracy Haynes, co-coordinator and festival director, at 912-358-3352 or email: [email protected] and follow on social media, Facebook: SSU Indie Film Fest @ssufilmfest and Twitter and Instagram @ssu_indf.